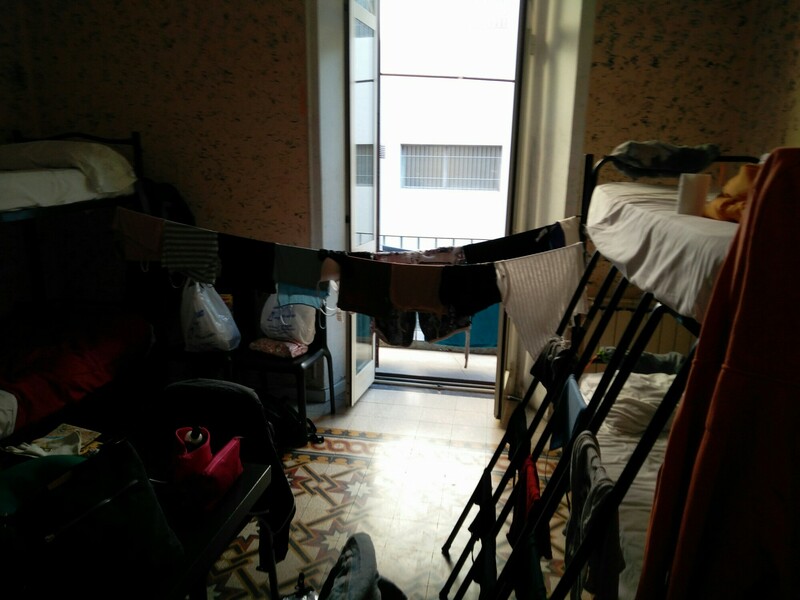 Place 6 – Day 18: Rome – Washing.. Yay! Today, there was work… There was a large group that checked in, so a lot to clean for Curtis today! Kim created and distributed the sign up sheet for the Rome walk, which hopefully starts tomorrow! After work, we had to wash all of our clothes, so we took it down to the laundry shop. Once we went back to get our ‘wash only’ laundry, we had to put up with the two guys that were working there having a physical fight.. This was pretty entertaining! Kim has now made another one of her signature washing lines, waiting for the washing to dry now! We need to go and get the rest of the washing at 8pm, but we’ll be going for a walk too which will be nice! We’ve had nice pasta made by Kim, with a beer! Obviously, before we go for a walk, we’ll be having a cappuccino!! !